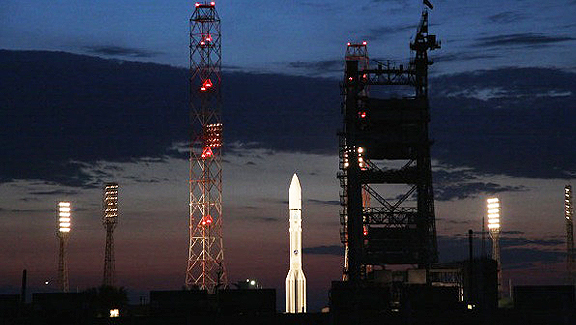 Russia's Proton-M carrier rocket with a military purpose spacecraft was launched early on Wednesday from the Baikonur space center in Kazakhstan, a Space Forces spokesman said The launch took place at 2:47 Moscow time (22:47 GMT Tuesday), as scheduled. "The spacecraft is scheduled to separate from the Briz-M booster at 11:48 Moscow time [7:48 GMT]," Col. Alexei Zolotukhin said. The Russian Proton-M carrier rocket.